So we hit $200,000 over the holidays. Shot right past it, actually. So today we’re going to post up the 200k stretch goal for the fundraiser. This year, May 10-12, I’m heading down with the Worldbuilders team to Heifer’s educational facility. 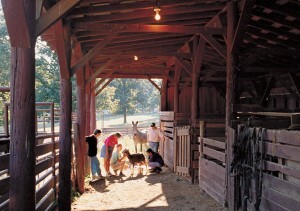 We’re going to spend a weekend down at the Heifer Ranch seeing what Heifer is really all about. That’s not the cool part. The cool part is that because we hit our 200k stretch goal, Heifer is donating 10 weekend trips to the Heifer Ranch, and we’re making them available to you. Four of the packages are going into the lottery. Just like the read-and-critique and the cameo appearance in a future book, these prizes will only go to people who want them. That means if someone wins, I’ll call them, and if they don’t want the trip, (or the critique, or whatever) then we’ll give it to the next person on the list. Repeat until we find a happy winner. The other six packages are being auctioned off. If you win one of these packages, you’ll join me and the charming, intelligent, good-smelling Worldbuilders crew as we spend the weekend learning about people’s day-to-day lives in the areas Heifer’s programs are designed to reach. We’ll be working in a small village, making our own food and learning how to farm and do normal chores. We’ll get a good taste of what it’s like for the people who will benefit from all this fundraiser money. Heifer International offers a powerful global education experience at its Learning Center at Heifer Ranch, located near Little Rock, Arkansas. 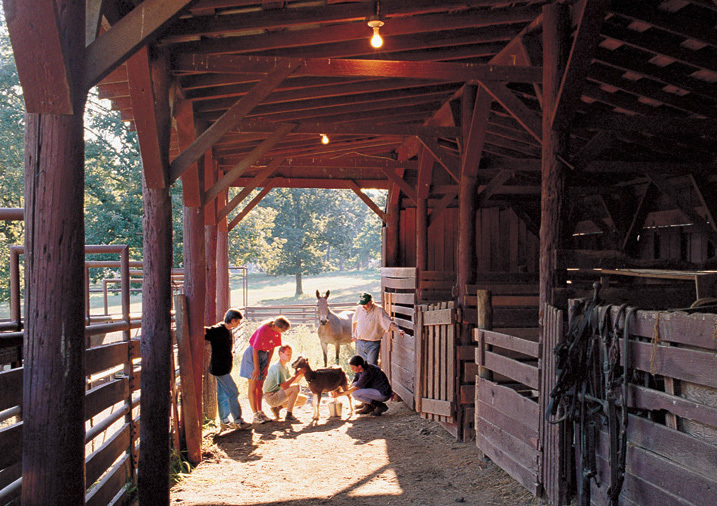 Experiential, hands-on, interactive and fun, this Heifer Ranch is also a farm complete with gardens and animals including water buffalo, camel and traditional farm animals such as sheep, goats, chickens, and more. In this weekend experience at the Ranch, May 10-12, 2013, you will get a first-hand look at the challenges surrounding hunger and poverty, Heifer’s sustainable solutions, and what we can all do to help. Through the Global Gateway weekend and overnight stay in the lodge, you, Pat, the Worldbuilders staff, and fellow participants will learn about and experience the daily struggles people in poverty face every day to simply feed their families. Participants are given little – just some rice, vegetables and eggs – and before they can eat, they must find a way to build a fire and cook their meal. By living the lessons of poverty first-hand, participants come to understand the complications surrounding hunger and poverty and see their connection in creating change that brings possibility and hope to millions around the world. Participants arrive in Little Rock late afternoon Friday and transportation from the airport will be provided to Heifer Ranch. Meals and lodging, and full programming at the Ranch, are provided Friday evening through Sunday morning. Transportation provided from Heifer Ranch to Little Rock airport on Sunday. Participants are responsible for their own transportation to/from Little Rock, Arkansas. 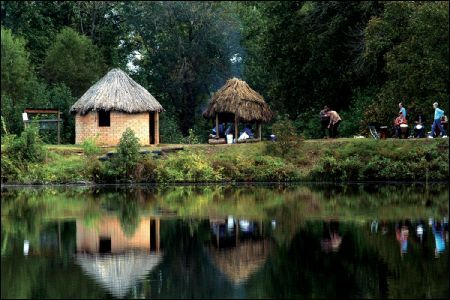 Heifer Ranch programming includes dinner at the Ranch with evening discussion and video in the lodge on Friday. Saturday includes morning breakfast at the Ranch, tour of the Ranch, Global Gateway experience at the Global Village with lunch in the village, farm time and the chance to help with farm chores in the late afternoon. That evening, there will be dinner and video in the lodge. Sunday includes morning breakfast at the Ranch and transportation to Little Rock airport. As you can see, this is a pretty awesome deal. Not only will you be able to see what kinds of work Heifer does in the world, you’ll meet, and spend the weekend with, some of my cunning assistants. And me. I’ll be there, too. Here’s how we’re breaking up the six auction tickets. Auction: Four individual tickets to the Heifer Ranch May 10-12, 2013. There will be tons of fun stuff to do, and my staff is pretty cool, so I’m sure you won’t be lonely. Plus Oot will be there, and he’s frikking adorable. We’ll say it again just to be clear: Participants are responsible for their own transportation. Auction 1 is here, auction 2 is here, auction 3 is here, and auction 4 is here. Auction: One PAIR of tickets to the Heifer Ranch May 10-12, 2013. Here’s a way to come with someone you love. Or someone you’re friends with. Or someone you think would really enjoy the experience. True, you could just bid on two of the single auctions and it would work out the same. But there’s always the chance you might get outbid… With this auction, if you win it, you’ll be certain there’s space for you AND your snugglebunny, guaranteed. If you want to come with a partner, click here to bid. Lottery: Two single packages, and one double to the Heifer Ranch May 10-12, 2013. As I mentioned above. This prize will be selective. I’m going to call whoever wins it, and if they’re not interested, we’ll draw another name. We’ll do this again and again until it ends up in the hands of someone excited to have it. That means even if you don’t have the cash to win one of the auctions, you can still get lucky so long as you donate on the Worldbuilders Team Page. Every $10 you pitch in over there gets you another chance to win. If you’re interested in a more… traditional vacation, we have the Rancho Las Palmas trips up for auction right now. Or you could click here to see all the current Worldbuilders Auctions. If you want to see the other items that have been donated to Worldbuilders, or learn more about the fundraiser itself, you can head over to the main page. Is there a minimum age for this trip? I would love to go with my 10 year old son, but not sure if the Ranch considers that an appropriate age. 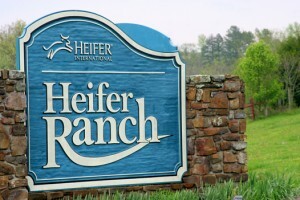 A road trip to Little Rock to experience what the Heifer Ranch teaches us while meeting Pat and his team, I want that! Is it innappropriate to empty his college fund to win the auction, as this would be a highly educational, great experience? Aww! He’ll be in the end of 5th. Not that we’ll win the lottery anyway, but if we get the chance, maybe they’ll make an exception! Unless Heifer had a hard rule about it, I’m fine with this. I did something similar to this when I was young, and it was an amazing experience…. Sweet! Now I really want to win it! I’m picturing this amazing bonding experience with my oldest while showing him more about how the world really works. I want to drag my kids on mission trips as they get old enough, and this would be such a good start. Besides, he loves fantasy books, and meeting Pat would make his year! What a great addition to this year’s fundraiser! Thanks for running this. Just bought a sheep. Does this mean Pat must go on 10 of these trips? This sounds rather taxing, fun but taxing, hang in there Pat! Pat, any signings, speakings, or other shenanigans while in Arkansas? I work about 5 blocks from Heifer headquarters in Little Rock. Yay for 200K! That’s really amazing. Can someone remind me how much we earned last year for WorldBuilders? I remember breaking the 250k goal but not how much it ended with? Thanks. This and the aspiring-writer-novel-review post both mentioned that Pat would *call* the winners to make sure this was something they actually could make use of (which is awesome). But when I put in my donation, I noticed they never asked for my phone number. So will this be handled by email? Or did I miss something?